An experience of the summer of 2016 supporting Bradford City. George Green will not be joining Bradford City and Dylan Mottley-Henry has joined Barnsley as Stuart McCall and Bradford City's attitude towards risk becomes clearer. Stuart McCall returns as Bradford City manager with an elongated training session at Guiseley which reminded one of what could have happened in 2007 had - as was the original thinking - McCall had been handed a healthy League One club. Uwe Rösler is definitely joining Bradford City who are definitely going to be selling Bratwurst at half time and definitely paying one and a half million for Reece Burke who definitely posted a picture of himself in a City kit and he will definitely replace James McDarby who is definitely joining Parkinson at Bolton with Jamie Proctor who would definitely have scored twenty five goals this season as would Dylan Mottley-Henry who is definitely in the Barnsley first team by Christmas and definitely would have been brilliant for us as would George Green who is definitely the English Antoine Griezmann and Stuart McCall missed out in him because he is definitely not a proper manager and definitely just signing his mates which is odd because we definitely have not signed anyone but when we do sign people we will definitely be signing cheap German players who will definitely not be good enough but will be in the team because Edin Rahic definitely picks the team and all this definitely would not have happened if the Germans had not forced out Parkinson because the old boardroom definitely would not have forced a manager out and we definitely are going to be awful this year and definitely will be rubbish and under prepared and Greg Abbott definitely let Nahki Wells go because he does not know a good player when he sees one and why didn’t we sign Tom Bradshaw anyway because without him there is no chance at all of promotion and without Josh Cullen there is no chance of even winning a game and the young players are definitely not going to be given a chance because Omar Daley is definitely coming back. More about Antoine Griezmann, Dylan Mottley Henry, Edin Rahic, George Green, Greg Abbott, Jamie Proctor, Josh Cullen, Nahki Wells, Omar Daley, Phil Parkinson, Reece Burke, Stuart McCall, Uwe Rösler. Napoléon Bonaparte is reported to have said that that if the French army was left without someone to fight then they would fight themselves, or within themselves more probably and given that the Corsican was a veteran of his country’s revolution one could see the origin of the thrust of his point. In football it is given to being the same. The summer is long and there is nothing to do other than recall the Icelandic victory and look at the slow building of a team at Bradford City after the exit of Phil Parkinson. That team takes some interesting shapes but as new Head of Recruitment Greg Abbott freely admits it is behind where it needs to be. Work must be done for signings to be made and – it would seem – is being done. Watching George Green on Saturday was a long awaited pleasure for me who had followed his career so closely but as was observed at the time Green is a player who would be a good signing but probably not a good loan signing. To borrow Green from Burnley one suspects that a club will have to promise to play his every week and even ignoring the lack of first team experience he has had at any club – a handful of Tranmere Rovers games – promising to play someone else’s attacking midfielders every week is an act of folly in League One where a gnarled defensive can get you – well – fifth. 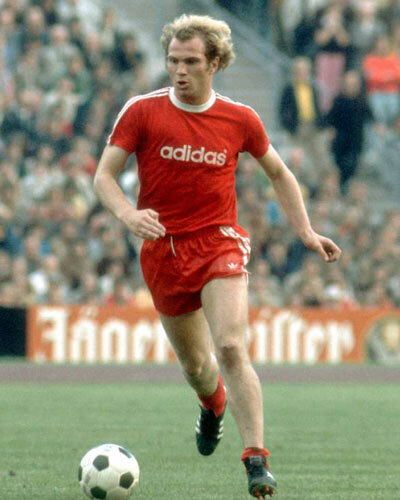 Which is not to say that Green will not have a forty six game season for someone and be the finest player in the division – he may – but management is managing risk and there is a risk inherent in giving a starting shirt to a player who has not been blooded in the professional game. This was as true with Billy Knott as it is with George Green. It is true of Dylan Mottley-Henry too. Dylan Mottley-Henry joined Barnsley of The Championship having been released by City months ago. It is a good move for Mottley-Henry but one doubts Adam Hammill will be sitting out many games to make room for him. To keep Mottley-Henry Bradford City – be it Parkinson or Stuart McCall – would have had to give the player a professional contract. No one knows how tight money is with the new regime at Bradford City but Championship money allows for more spending. Mottley-Henry has a six month deal at Oakwell and if that does not work out then his cost is absorbed into the running of a Championship club. Less than the gates for when Newcastle United visit South Yorkshire. If the promising winger impresses then Barnsley reap the rewards, if not they hardly feel the pain. That is the difference between promotion and losing in the play-offs as starkly as it can be put. Mottley-Henry, like Green, offers a risk which McCall and Bradford City are adverse to. Which tells us something else new about this new Bradford City, at least for now. More about Adam Hammill, Barnsley, Dylan Mottley Henry, George Green, Stuart McCall. 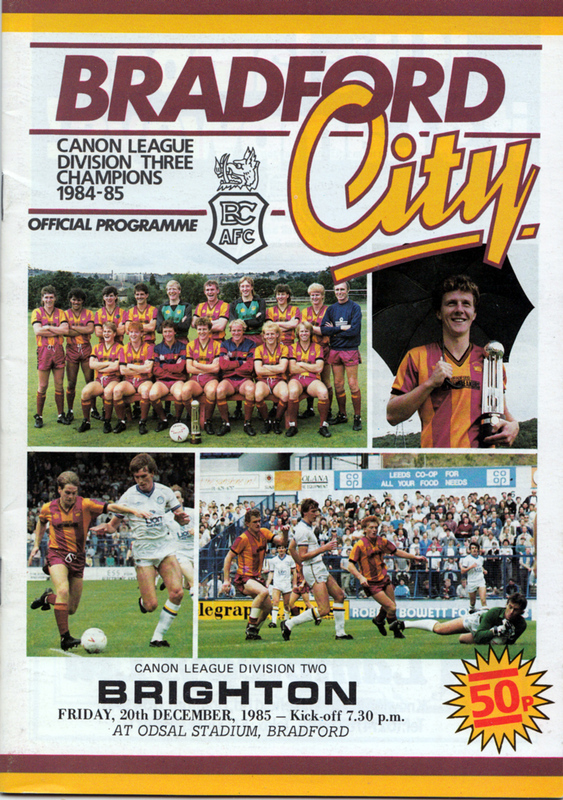 There was a point in the history of Bradford City where the club took one turn, and could have taken another. To be more accurate these points happen all the time but watching Stuart McCall take a Bradford City through pre-season at Guiseley I ended up thinking back to the days of January and February 2007 when Dean Windass was allowed to leave City and join Hull, and Colin Todd was sacked. Todd’s contract was up at the end of the season and it was an open secret that Julian Rhodes wanted McCall to replace him. The need for totemic best player Windass seemed to be over with Rhodes convinced that the Bantams had enough points that David Wetherall could not possibly get them relegated in his time as manager (which he did) and had he not Rhodes might have used – not certainly not needed – an investment from then supporter Mark Lawn. And had Rhodes excersized restraint and kept Todd, or Windass, or both, or taken another option then McCall may well have arrived in June 2007 to the very type of situation he found himself in some nine years later. But these things happen all the time. Had Notts County’s one yarder in the first round of the League Cup 2011/2012 gone a foot lower then there would not be a Phil Parkinson legacy – such as it is – for McCall to adopt. That legacy is not to be understated either. Parkinson has left City in rude health. The leanness of the squad in summer which caused so much consternation is purposeful and a feature of the majority of clubs outside the higher reaches of the game where lengthy deals on players are more often liabilities than assets. Only the foundations are secured in League One football these days. And the foundations off the field are secured. Parkinson – as far as the story is told – never walked into the boardroom and demanded money the club could not afford for players and given how easily led the boardroom seemed to be that is a good thing. That the squad last season was patched with loan players rather than panic purchases says a lot. List the players from last season who City owned to still be at the club this season and names like Rory McArdle and Stephen Darby – both absent today and for the start of the season following operations – would be iterated through. Ben Williams and Jamie Proctor would not. “The owl of Athena spreads its wings only with the falling of the dusk” – as Hegel should have said – and it seems that dusk has not come yet for Parkinson. Rather than a reboot of 2007/2008 and McCall’s first time as Bradford City manager in League Two it seemed that the manager was on the road not travelled, and playing in what could have been. What was was an entertaining encounter. It would be wrong to talk about Guiseley as more than an extended and expensive training session and so to pick out specifics rather than trends seems to miss the point of the exercise. Those trends though seemed positive. The young players who stepped up from the lower ranks which Parkinson ignored and played with the élan of The Lisbon Girls allowed out to party for the first time. Daniel Devine’s name suggests itself. The trialists looked lively in a way that seemed different to those Parkinson brought in. All looked capable and some looked impressive. The wheat from the chaff comes in spending time with the characters and seeing how they fit into a unit which is what games like this are all about. It was good to see George Green make a long awaited debut. George Green and the subject of paths not taken is interesting assuming you remember the name. And of the new signings Nathaniel Knight-Percival did not have much to do while Nicky Law Jnr set up an equalising goal for Tom Hateley (trialist) to score from. That moment when Hateley equalised revealed the game for what it was. The Bantams were happy to kick the ball around but would not go home in a defeat. The gears shifted up after falling behind showed a team working fitness rather than working to win. And all seemed new. Parkinson has left something good at Bradford City but his exit seems to have taken with it some of the stolid tenancies which mired City’s thinking. All that was good seems good and all that was not seems new. Which is not something that one would have expected. More about Ben Williams, Colin Todd, Daniel Devine, Dean Windass, George Green, Jamie Proctor, Julian Rhodes, Mark Lawn, Nathaniel Knight-Percival, Nicky Law Jnr, Phil Parkinson, Rory McArdle, Stephen Darby, Stuart McCall, Tom Hateley. This story works well when read with Archie Christie Day: Part 1, Part 2 and Part 3. If you have never heard of George Green before today you are not alone. The fifteen year old who joined Everton for a fee which would rise to in excess of £1.75m is a virtual unknown yet in a list of the most expensive sales in the club’s history Green would rank in the top three. Dean Richards cost a fee up to £2.135m to Wolves, Andrew O’Brien cost up to £2m, then comes Green. How is it that this kid from Batley Carr that no one has heard of is a part of this deal which could pay for City’s future? Pull up a chair, dear reader, because the deal was being done on the day BfB spent with Archie Christie and now it is public we can fill in a few details. Before we arrived for our early morning swim Archie Christie had been meeting David Moyes (the time to allow the manager get to training) to talk about Green but by the time we ended the day we had held in our hand a bid for the player from another Premier League Club. The deal had been in the offing for sometime although it was coincidence that we got exposed to it (the day of the interview was enforced by mine & Jason’s work commitments, Christie took the first day we offered some eight days in advance of the interview) although in setting up there was a time when I was on Christie’s house phone and David Moyes was the mobile being told that he would be called back. They agreed. Green played for one of Spurs’ youth teams against Aston Villa and turned in a match winning performance in front of the the massed ranks of scouts. By the end of the game those scouts were literally chasing Christie to find out about the kid. 27 clubs – including top clubs from Germany and Scotland as well as the Premier League – registered an interest in George Green. Christie proudly showed us the DVD of the game in which Green scored a hat-trick. Fifteen in a game of lads older than he Green stood out, and two of the three goals he scored were superb. A mazy dribble with sublime finish and a first time curled goal that did recall Rooney were impressive enough to enchant youth scouts, Premier League managers, Chairmen, Directors of Football recruitment. Christie had built up Green’s confidence – a confidence he showed on the field against Aston Villa’s kids who had a pair of central defenders rated as the best young pairing in England – by giving him a place in the Development Squad. Green is proof of concept for the idea of having a way to graduate players from the kids but not to the first team. Green could not have played in the first two months of City’s season and even if he had the realities of League Two football probably would not have helped the player’s development. But playing in the middle area that Christie’s Development Squad provided a place for City to build Green, and be sure of him. While in the Development Squad Christie and the coaches moved Green’s play forward on the field, putting him into a more attacking role. One of the skills Christie is credited as bringing to his role (See Archie Christie Day: Part 2) is the ability to tweak a players game to develop it. In this case he nudged Green forward up the field and the results are there for all to see. However Christie would not take all the credit for George Green and Peter Horne – and his team of coaches – have once again found a player and brought him to City who has provoked interest from the top division. The difference between Green and Tom Cleverly is not in the finding but the export. As I understand the deal for Green City have got more up front than the stand to make from the full Cleverly deal, sell on clauses aside. One can hardly blame the club or the board for that. If you or I – well versed in watching football as we are, dear reader – watched a young player impressing in a youth team game would we know at what level he could go on to play at? Would we know if the player was England material or just someone who might play 150 lower league games? If some club offered lower six figures we might take that because we knew not what the player was worth and how the market worked. It was obvious watching him work that Christie knew that market. He told the board that he would get over a £1m George Green, they were sceptical – I’m sure that many reading this article are sceptical about someone being able to pull a kid from the youth set up and sell him for more than Andrew O’Brien – but Christie has made good on his promise. Not only that but he had looked at a player and recognised what is rare talent (how many other 15 year olds get sold for £2m?) which might indicate that the man knows a thing or two about spotting players. In the morning we spent with Christie the deal on the table had a limit to a buy out clause, and a few other points that at the end of the day had been changed. That was on Thursday and a different club so I would not be able to say what the final details were but I’m pretty sure that that deal will be superb for City. It would have been great to watch George Green break into the first team, to cut a dash in claret and amber, and it is sad in a way that that will not happen but that income can pay for City’s progress. The Development Squad is paid for and so are a good few first team players. Christie’s hope is that with deal like Green City will be paying for the wages of three or four League One players in years to come. The Green deal is a massive success for Bradford City and hopefully a massive one for Everton too – they have developed a few decent young lads in their time – and one which starts to move the club out of the era of relying on cash input from the chairmen and into a time when the club begins to not only pay for the year on year football but also for its own improvement. I recall watching Dean Richards’ last game for Bradford City and when he left for a deal which could have snuck over £2m with clauses that City could have got more. When Andrew O’Brien joined Newcastle for only £1.5m plus a bit I remember thinking that we should probably view his sale as being aggregate of the fee for Des Hamilton. Dean Windass for the £1m we paid for him, Robbie Blake for half of what we had valued him at. I’ve always thought that City’s players leave cheap. I’ve seen that changing now. George Green: Remember the name not because he is going to be the greatest player in the future of Bradford City but because his move could pay for the future of Bradford City and rather than being a product of blind luck this boon is brought about by a hard working youth development squad delivering players to a development environment and having a business environment which was able to maximise the opportunity. More about Archie Christie, David Moyes, Everton, George Green, Peter Horne.